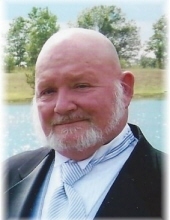 James F. “Fred” Grubb, 69, of Swanton, Ohio passed away January 26, 2019 at the VA Hospital in Cleveland, Ohio surrounded by his loving wife of 48 years Linda, his son and daughter-in-law, Jim and Sandy Dingledine and 3 of his granddaughters. James was born May 2, 1949 in Ashland, Kentucky to James and Marjorie (Hutchinson) Grubb. James served in the Army from 1968 to 1971 and then The National Guards from 1972 to 1989. James was a Vietnam Vet and served our country for 20 years. James received his GED in 1984 in San Marcos, Texas. He then worked for the water and sewer department through Job Corps. Following that he was a maintenance man for Cedar Creek in Bowling Green, Ohio and The Towers in Findlay, Ohio. James was an avid camper and singer. He owned his own karaoke business named Jukebox Karaoke. He never met a stranger and was loved by everyone he met. James is survived by his wife of 48 years Linda (West), son Jim (Sandy) Dingledine, 9 grandchildren and 21 great grandchildren. He is also survived by many nieces and nephews. He was preceded in death by his father, mother, sisters Nancy, Olivia, Linda Gail and his brother Ben and 1 great-grandson. Visitation will be held Friday February 8, 2019 from 4:00 to 6:00 p.m. at Dunn Funeral Home, located in the Historical District of Bowling Green at 408 West Wooster St. A Memorial Service will be held Friday evening at 6:00 p.m. at the funeral home. Atonn Smeltzer will officiate. Military Honors will be rendered by the Wood County Detail. Following the service, a dinner will be held at the Hampton Inn in Bowling Green. Memorial contributions can be made to the family or in his memory to The Cleveland VA Hospital. To send flowers or a remembrance gift to the family of James F. "Fred" Grubb, please visit our Tribute Store. "Email Address" would like to share the life celebration of James F. "Fred" Grubb. Click on the "link" to go to share a favorite memory or leave a condolence message for the family.